As a professional writer, I’ve had a very specific beef with the Fifty Shades of Grey franchise since the moment the first book starting flying off the shelves: It’s terribly written. It took a while before I was able to come around and see the real value Fifty Shades possesses: It’s raunchy, cheap entertainment, not a classic piece of literature. I’m sorry, E. L. James. Fifty Shades is an OK story, all told. But the fact is that every one of those books is riddled with typos, grammatical errors, plot holes and dialogue that makes me cringe with my entire body. The fact that this book I could hardly stand to read was an almost instant best seller that would go on to sell 60 million copies worldwide felt like a slap in the face to the years of studying and practice I had put into being a professional writer myself. Yeah, I know. I needed to get off my high horse. But still, for years, I held out. I refused to read more than the first few chapters of the first book — just enough to convince myself I hated Fifty Shades and everything it stood for. I turned my nose up at the movies too. Sure, Jamie Dornan is hot, but I wouldn’t support that franchise because it was making a bad writer so enormously successful. I dug in my heels and embraced my Fifty Shades hate. Until one night, my first night on a trip to Thailand, delirious from jet lag and unable to sleep at around 3 a.m., I was scrolling through Netflix looking for something, anything, that would put me to sleep. My eyes landed on Fifty Shades, and my sleep-deprived brain came up with a plan: I hate that movie so much, I refused to watch it. If I turned it on, I would fall asleep out of pure spite. My plan didn’t work. I hate-watched every second of Fifty Shades of Grey. And then I turned on Fifty Shades Darker, and I hate-watched it too. Except I wasn’t really hate-watching anymore. As the sun came up and the credits rolled on movie No. 2, I was kind of having an OK time. OK, fine — I was loving it. The story that I couldn’t stand in book form was actually super-entertaining on-screen. The dialogue was mostly the same, but on the screen instead of on the page, it was hilarious instead of depressing. The story was just as ridiculously far-fetched, but for some reason, suspending disbelief was a little bit easier when I could see it all going down. Who would have guessed? Since that fateful night, I’ve had a Fifty Shades night with my girlfriends and discovered it’s even more fun to watch the movies with a few bottles of wine, making all the snarky comments we can think of. 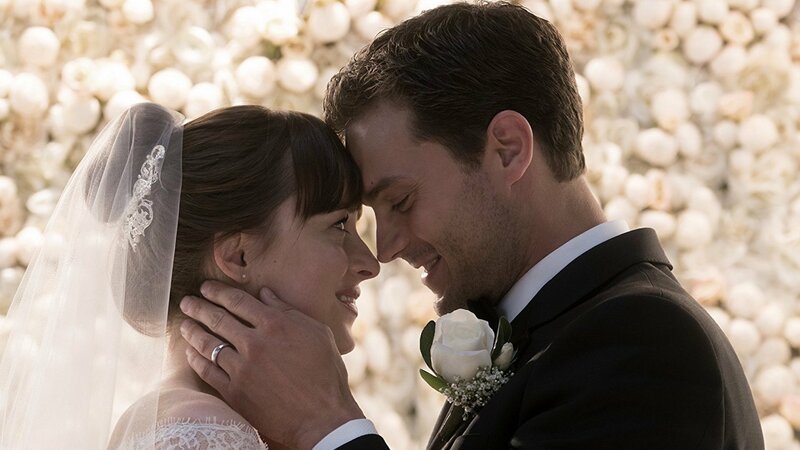 I can’t wait for Fifty Shades Freed to hit theaters so I can have a night out with my ladies and we can make fun of that one too, because at the end of the day, I had to accept that Fifty Shades never was and never will be some kind of literary triumph. It’s cheap, hilarious, delightfully bad entertainment, and that’s something I can appreciate too.